Reserve one of our 6 beautiful rooms for your wedding reception, anniversary party, birthday party, or holiday gathering. Funeral gatherings, showers, union meetings, business conferences and seminars can easily be accommodated. Our building facility is approximately 30,000 sq. 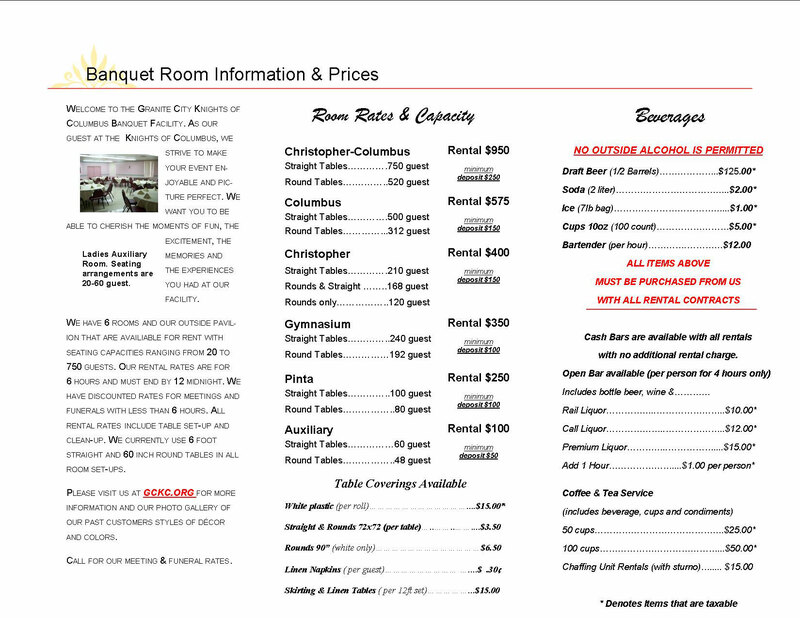 ft and our banquet rooms will accommodate from 20 to 750 guest. We have a well lighted parking lot to accommodate 278 parking spaces and of those we have 10 handicapped spaces. We have a wide variety of Beer, Wine and Liquor which are available in our beautiful public lounge to host those that just what to get away from the party’s to watch TV or just to relax. We have 4 men and 4 women restrooms spaced thru out our building. Our friendly and professional staff take pride in offering you and you guest an atmosphere of warm and friendly service. Our Banquet manager will help you with any questions and/or concerns you may have when planning your event. Please contact Banquet Manager for your appointment today. WE BOOK UP FAST – CALL TODAY FOR AVAILABILITY!